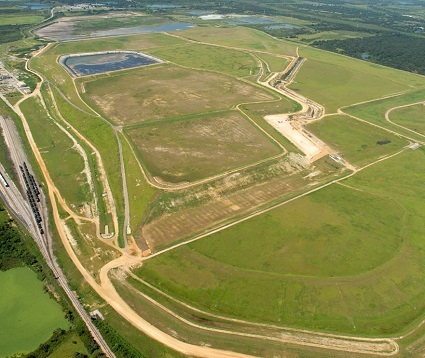 Ardaman specializes in the geotechnical, civil and environmental engineering aspects of siting, design, construction monitoring, management and closure of industrial solid waste disposal facilities in general and phosphogypsum disposal stacks and coal combustion residual landfills in particular. Our experience list includes over 75 disposal sites. These projects involve gypsum stacks covering areas ranging from 40 ha(hectare) to more than 400 ha, and fertilizer plants with P2O5 production rates ranging from about 200,000 short tons/year to 1,500,000 short tons/year. Design of gypsum storage/disposal areas (stacks) as well as vertical and horizontal expansions of existing areas, which includes design of liners, drains, slurry walls, surface drainage etc. Ardaman’s engineers in general and principals in particular, have extensive knowledge of the rules that govern the phosphate industry, since they assisted both the industry and the regulators in formulating these rules. Dr. John Garlanger, P.E. worked with the original version of Rule 62-672, Florida Administrative Code, relating to dams associated with phosphate mining. Dr. Nadim Fuleihan, P.E. represented the State of Florida and the Florida Phosphate Council during the substantial revisions of Rule 62-672 to make it applicable to phosphogypsum stack systems. Drs. Fuleihan and Garlanger represented the Phosphate Council to develop Rule 62-673, F.A.C., relating to management and closure of gypsum stack systems. 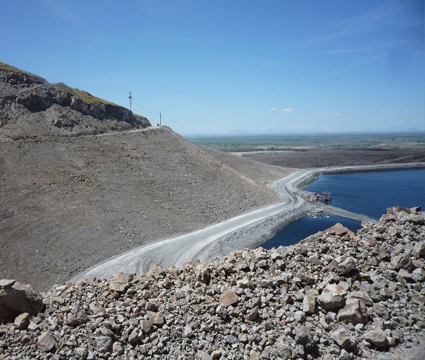 The Coal Combustion Residual (CCR) rule promulgated by the EPA in the Federal Register on April 17, 2015 contains specific requirements for CCR landfills and CCR surface impoundments. These requirements include location restrictions, design criteria, operating criteria, groundwater monitoring and corrective action, closure design, post-closure care, recordkeeping, and public notification. Ardaman has been engaged with the power generating industry for over 30 years evaluating, designing and managing CCR waste facilities. Many of the advancements developed through our experience with gypsum stacks have translated to our services provided at generating stations in Florida and elsewhere throughout the United States. Our solid waste services include every stage of phosphogypsum disposal facility development, including siting, design, construction monitoring and management.